So far no mod does that well when it comes to off the bat campains with mods, plus it takes more time to finish. Afterwords, however, would be nice, expecially if their more westwood specific and near future of TS and less TW style. And possibly inclusion of Westwoods old style secret missions (infamous Dino missions of TD). First initial release will be multiplayer/skirmish we dont want to keep you waiting any longer then we already have, but we still want it to be quality so we aint rushing this ether. Despite taking so long we have learnt alot from previous mistakes and this build of TSR will certainly be the best work we've ever done. If you guys reconstruct the capaign, are you gonna use the FMVs from Tsun? Assassin and the TSR developing team is letting the well known C&C community member Cypher write the campaign for Tiberian Sun Rising. That's perfect since Cypher knows everything about Command & Conquer that's worth knowing. As you can see in this interview with him he knows a lot about the lore and can come up with possible explanations for every contradiction in canon of the later C&C games (the C&Cs developed by EA that is). contradicts Tiberium War's or seems out of place in the timeline. We have an opportunity to bridge the gap between Tiberian Sun and Tiberium War's." "Well, I'm mostly focused on Tiberian Sun Rising. Thinking and rethinking and restructuring and retooling and re... doing the original Tiberian Sun campaign to be fully canon (both Nod and GDI) and make sense. It's doable - it's done, actually - but I need good map makers, or mission makers, to actually do the maps." What worries me is Cyphers approach to this project. As you can see in the quotes above he intends to fit Tiberian Sun Risings story with the mess that is the storyline of Tiberium Wars and Tiberium Twillight. I think it's great that Cypher is working on this project but instead of trying to fit TSRs story with TW & TT he should develop the story of TS to stand on it's own and let the players experience the full potential of TS. Trying to fit the TS campaign with TW is just contra productive for the story. If he instead would base TSRs campaign on Tiberian Dawn and Tiberian Sun and them alone it would be possible to add much more dept. And it would also be able to build upon it in the future. The community could create its own version of C&C3 and create it as it should have been. There have been many attempts but all of them have failed. We all remember Tiberian Eclipse as the latest. Is it a coincidence that the most popular mods for Tiberium Wars add things from TS that the developers ignored? Tiberium Essence, Tiberian Apocalypse, Tiberium Icestorm The Forgotten and many others. I'm talking about real tiberium, mechs and all other obvious things EA missed. There's so many stupid canon misses in TW that it actually gets me upset thinking about them. Why have the technology developed backwards? Why did they let the tiberian flora and fauna die off when the game would have been so much greater having them in? I know it's possible to fit TSRs story with TW and that's what Cypher is trying to do but I just don't see the point of it. Why limit yourself when you can show the community and EA the full potential of the Tiberian storyline! In his article Post-Mortem Tiberium Wars RyanTheHeretic looks back at Tiberium Wars and examines what went wrong, in the hope that EALA might deliver an even better game next time (which they sadly enough didn't, TT was worse, way worse). He calls TW a brilliant game but a terrible sequel to which I agree 100%. As a game C&C3 was really good but when you think of it as a sequel to the brilliant Tiberian Sun TW actually stinks. In the article you can read about all of TWs flaws and canon misses and what could be improved (which is a great many things). When you read the article you realize that EA made a lot of mistakes when they wrote the story for TW. This is where the community comes in, we can correct EAs mistakes. We don't have to limit ourselves. So, when the TSR campaign is done, the community can build upon it and create a true sequel to Tiberian Sun. That's what we should be doing! Not limiting TSRs potential in our attempt to get it to fit it with TW. There's nothing wrong with TS, TW is the rotten egg, TW is the game we should be fixing! In this thread on Petroglyphs forums you can read about all the wonderfull things that was supposed to be in the real sequel to Tiberian Sun. We should have them in mind when we redesign the Tiberian Sun campaing for TSR. Personally I don't see what Cypher thinks the TSR campaign would gain from trying to adapt it to TW. Actually I believe it will only damage TSR having to fit itself in with the pretty much flawed game Tiberium Wars. We all know that the narrative of Tiberium Wars had been a hell of a lot better if EA had listen to the C&C community. The same goes for TSR to some extent. We, the fans, must speak our minds when it comes to some weird design choices. So that the team can correct them and improve the game. 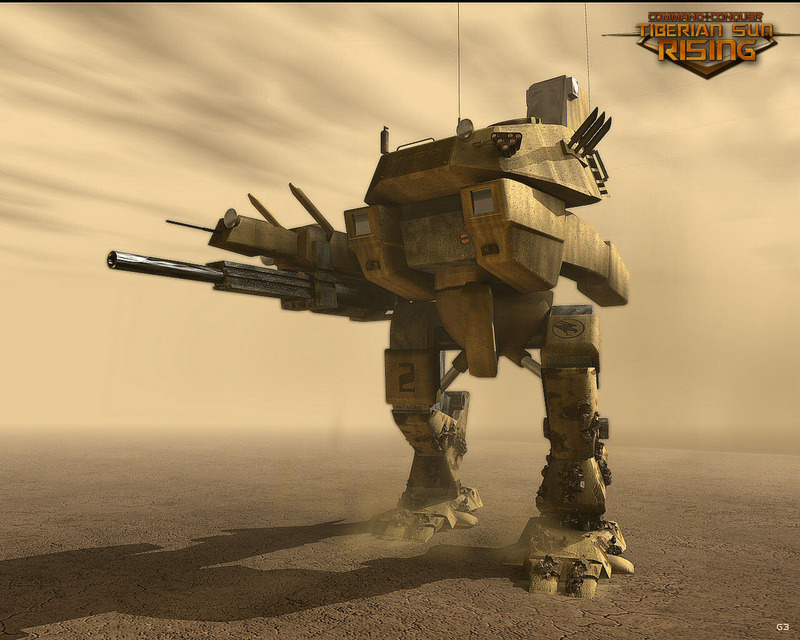 TSR is gonna be fantastic for all of us who love Tiberian Sun and for all of us who wants a great game! But sometimes the design team is wrong and then we have to speak up and tell them so, to improve the game and make it even better!